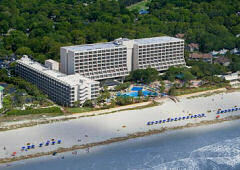 The Hilton Head Island Marriott is easy to find just off Queens Folly Road. There is a lot that it has to offer for families, couples, business executives and companies planning large conference meetings. Some of my friends told me how much they had enjoyed their stay at the Hilton Head Marriott and since I had already made reservations for the summer I was anxious for my vacation date to arrive. On the way to the Hilton Head Island Marriott we had the opportunity to view some of the finest golf courses in the southeast. 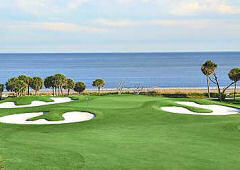 This Low Country setting is famous for outstanding golf and tennis facilities. Along with the beautiful Hilton Head Island SC hotels it seems that it is these 2 sports that attract a lot of Hilton Head tourists to the area the first time. The parking valets at hotels in Hilton Head SC dont often wear golf inspired outfits like at the Hilton Head Marriott. They had argyle socks and old fashioned knickerbockers as part of their uniform. 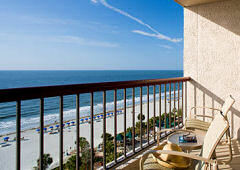 If you choose valet parking the cost is $18 per day, a fair price for Hilton Head Island SC hotels. 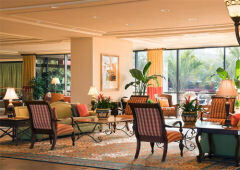 The lobby is the second level of the Hilton Head Island Marriott that you enter from the street level. 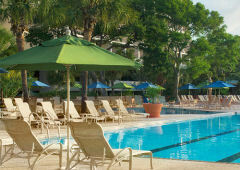 The Hilton Head Marriott had a recent renovation and now has several seating areas and a shiny marble floor. There are some enormous windows lining the lobby and the younger kids were especially fascinated with the views. Our room at the Hilton Head Marriott was in the south tower which is a 5 story building that is a bit older than the new 10 story structure but it is closer to the ocean. Like most hotels in Hilton Head SC there are outdoor pools, Jacuzzis and out on the deck you can listen to the live music that is part of the fun during peak season. You can open the sliding doors of your room at the Hilton Head Marriott and hear the crash of the surf right from the private balcony. The upper story views of the ocean are especially breathtaking and this was a favorite place to spend some quiet morning time. 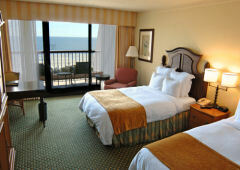 The rooms are colorful and warmly inviting and the beds are very comfortable. There are a total of 2 lounges and 3 restaurants that are all located on the property. We enjoyed the food and atmosphere at Conroy's. The seafood was very good and there are selections available for younger children. 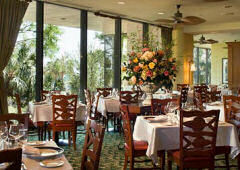 The champagne brunch on Sunday is a favorite of the Hilton Head Island SC hotels. While vacationing at the Hilton Head Island Marriott you can play golf or tennis, go swimming, kayak along the marshes or check out the sights in town. My husband and parents took the kids to the beach and I made a trip to the Spa Soleil. 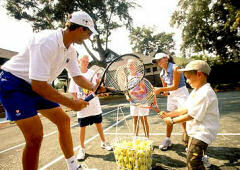 This is a great experience and one that I highly recommend when staying at finer hotels in Hilton Head SC.